Swimming is among the oldest sports in the world. The Ancient Egyptians as far back as 2500BC swam for pleasure. 2,000 years later, the Greeks and Romans used swimming as part of warrior training. The Romans also listed diving into the sea from the cliffs as one of their sporting pastimes. In 1BC swimming competitions were held in Japan. During the middle ages (5th - 15th centuries), however, immersion in water was associated with recurrent epidemic disease and therefore swimming was discouraged. Witchcraft was rife at this time, and one test of a witch was whether they would drown if submerged in water. It's understandable, therefore that swimming did not become popular again until the 19th century. Swimming is now one of the most popular sports in the world. Swimming New Zealand was formed in 1890, then called the New Zealand Amateur Swimming Association, which was 10 years after the first club was formed in Christchurch. At this time, few other national swimming organisations were formed (the English Amateur Swimming Association and a club or two in the United States). The first national swimming championships were held in Wanganui in 1905. A year later B.C Freyberg (later to become the Governor General of New Zealand) won the 100 yard freestyle and the 400 yard freestyle. 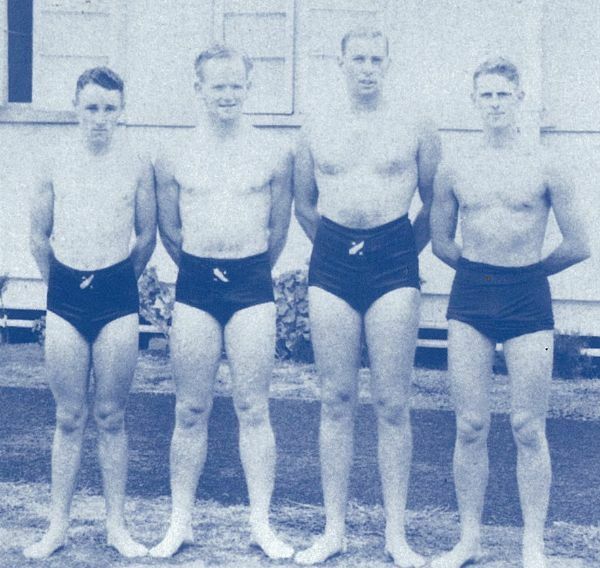 New Zealand swimmers have competed in the Olympic Games since the 1912 Stockholm Games when Malcolm Champion was part of the gold medal winning 4 x 200m freestyle relay for the Australasian Team. New Zealanders then appeared sporting the silver fern from the 1920 Antwerp Olympic Games when Violet Walrond reached the 100m freestyle final. Since then, New Zealand has competed at Olympic Games, Commonwealth Games (previously known as the Empire Games), and World Championships. 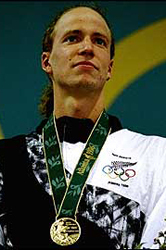 Danyon Loader is New Zealand's most successful swimmer, achieving double golds at Atlanta, a silver in Barcelona, and a World Record, and is one of New Zealand's most successful Olympians. Swimmers receive a number when they represent New Zealand at a World Championships (LC), Olympic Games or Commonwealth Games. Medalists from Olympic Games, FINA World Long Course Championships, Commonwealth Games & FINA World Short Course Championships.